There’s nothing like Christmas Island, St Croix, for the holidays – but even that doesn’t replace time with the family so I’ve headed home to New England for a pre-Christmas visit. I’m not a fan of the cold – AT ALL, that’s why I live in the tropics – but I do love the picturesque, snowy scenery out the window of my childhood home. Especially when cozied up by the fire. However, even with all of the hometown comforts, the islands are never far from my heart. So, I decided to share a bit of Christmas Island with family and friends at my Mother’s annual Holiday Open House… Coquito! Coquito is the Puerto Rican version of eggnog and a staple of St Croix Christmas celebrations thanks to the large Puerto Rican population on the island. Coquito (“little coconut” en Espangnol) is actually fairly easy to make and you’ll find many variants on the basic recipe. Of course, being a Caribbean beverage, one of the main ingredients is rum! It’s typically served chilled, straight up in a glass or over ice, but you can also use it to flavor your coffee, in custards and to top ice cream. I’m a pinch of this, dash of that gal who goes loosely by recipes and more by taste – so no two batches of mine are exactly alike. Feel free to take this basic recipe and tweak it to your taste. – Cruzan Rum: Here’s where I really do a dash of this or that. 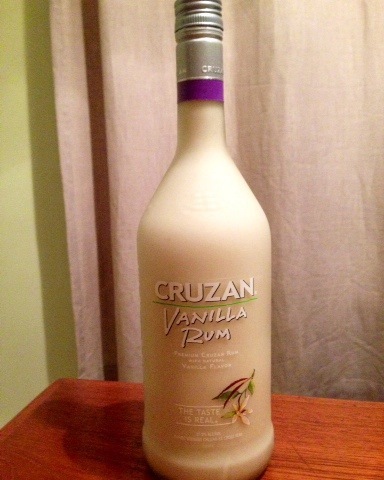 Today’s batch – super yummy – was a 6-count of Cruzan 9 spiced Rum, a splash of Cruzan Vanilla Rum (I needed to empty the bottle to use it) and then I filled the empty can of Condensed Milk with Cruzan Coconut Rum to measure it out. 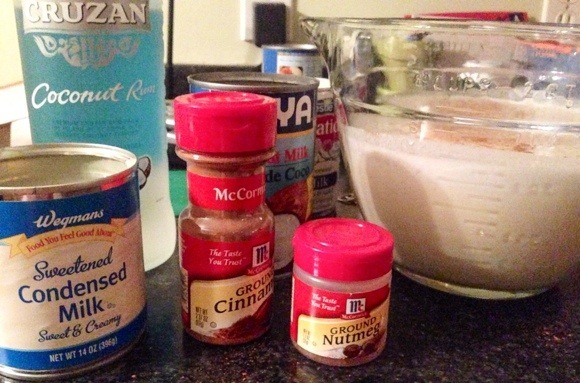 – Pour all ingredients into a blender, cover and blend until frothy. A minute or so. I hope you enjoy this little taste of Christmas Island as much as I do! And if you’re on St Croix during the holidays, don’t forget to head out to the LaReine Chicken Shack for their annual Coquito Festival where you’ll get to sample lots of variations and enjoy their world famous rotisserie chicken too. Will definitely whip up a batch !!!!! !